Cass lives in New York City with her husband, Leo, and their twin sons. She used to work for a magazine that folded, and now she’s a full-time mom. Her sister, Sid, lives in Singapore with her husband and children, and tries to adjust to life as an expat. When Cass and Sid reunite for Christmas, they decide to start an experiment: write letters to each other for one year. No phones, emails, or texts. Just snail mail. This turns out to bring the sisters closer, as they start sharing their innermost feelings and embarrassing secrets. When the letters accidentally become public, Cass and Sid’s lives start to unravel. 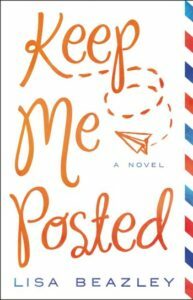 Keep Me Posted is Lisa Beazley’s first book, and it is a promising debut novel. The story is told from Cass’ point of view, interspaced with the sisters’ letters. 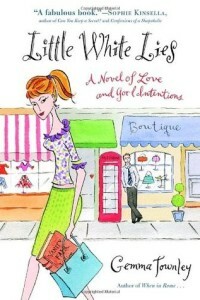 It includes colorful characters, and the author writes with humor about marriage, motherhood, family, and social media. 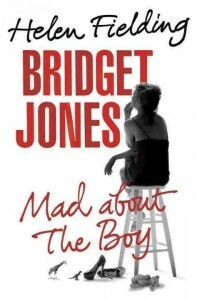 In fact, the book reminds me of the Bridget Jones Diary and Shopaholic series which dealt with the same themes. I must say though that I was more interested in Sid’s life than Cass’, as her life in Singapore seemed more interesting and exotic. However, Keep Me Posted was fun and entertaining. The perfect beach read. Keep Me Posted was sent to me for free in exchange for an honest review. Like Sid, Lisa Beazley moved from the US to Singapore with her husband and children. When she is stuck in her writing, the author gets up and rearranges furniture in her house. Lisa Beazley used to have a blog, but thought she wasn’t very good at it, so she took it down. The author relates more to Cass than Sid. About the author and her work: Lisa Beazley’s website.